The American Health Council is pleased to appoint Nurse Practitioner of the Cleveland Clinic, Summer Buckenmeyer MSN, APRN, FNP-BC, to its Nursing Board. With a solid ten years in the healthcare industry and two years with the Cleveland Clinic, Buckenmeyer will be bringing her considerable expertise in thoracic surgery and cardiac, heart/lung transplant and passion for continuous learning to the Board of Nurses. Buckenmeyer’s professional ambition is due in part to her grandmother’s invaluable personal guidance leading her to consider a profession in nursing. Her passion for caring for others and providing education flourished during her rigorous coursework in the BSN and MSN programs at Wheeling Jesuit University, where she graduated from in 2007 and 2014 respectively. In addition to her extensive academic training, Buckenmeyer has professional experience as a lung transplant coordinator, now serving as a Nurse Practitioner at the non-profit Cleveland Clinic in Sagamore Hills, Ohio and concurrently an Adjust Professor at Wheeling Jesuit. She maintains professional associations with the International Nursing Honor Society Sigma Theta Tau and the American Nurses Credentialing Center. Buckenmeyer, a natural leader, often performs in authoritative capacities. 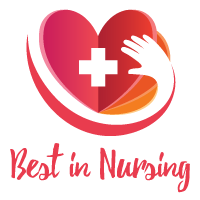 Most notably, she has implemented the education program for pre-lung transplant patients and selflessly joined a local hospice group where she uses her clinical and emotional intelligence to evaluate patients and support those patients and their loved ones. Buckenmeyer’s professional history shows a commitment to an essential patient-centered approach to healthcare that American Health Council is proud to recognize. In addition to this commitment, Buckenmeyer has recently taken on an academic role as a Wheeling Jesuit University adjunct faculty member of the FNP program where she advances nursing education and shares her first-hand clinical insight. Buckenmeyer most values the continuous learning aspect of nursing that continues far beyond the educational setting. Buckenmeyer’s experiences from her colleagues, patients, and day-to-day situations sharpen her bedside acumen and make her a better clinician every day. Within the next five years, she intends on acquiring a certification in administration so that she can improve workflow and efficiency and further her mission of enhancing patient experiences and outcomes. In addition to time with the local hospice group, Buckenmeyer frequently donates her time and resources to the Lung Cancer Longevity Fundraiser. Outside of her thriving profession, she is proud of her supportive family including partner Kale and step-children Lexi and Meagan. Buckenmeyer maintains hobbies of traveling, dancing, cooking, and being an active doggy mom to Chase and Brady. Cleveland Clinic is a nonprofit, multispecialty academic medical center with 1400 beds on the main campus and 4435 beds system-wide. Involved with both Inpatient and outpatient setting. This involves performing rounds with clinical staff, patient evaluation, management, implementation, and education as well assessing, evaluating, and managing patient’s post-operative care and future plan management.